Susan Harbage Page, Hubert Walters (detail), 1995. Gelatin silver print, edition 1/2, 20 × 16 inches (50.8 × 40.6 cm). Collection of the Nasher Museum of Art at Duke University. Gift of Susan Harbage Page in honor of Brooke Davis Anderson, 2015.13.1. © Susan Harbage Page. We are a country where people of all backgrounds, all nations of origin, all languages, all religions, all races can make a home. The place where an artist is based can significantly impact their work. Similarly, artists influence their communities in profound ways. 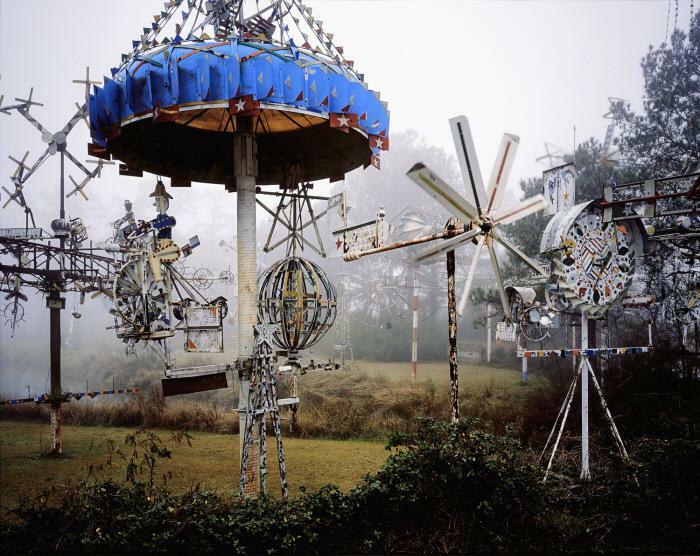 With a focus on artists from North Carolina, Creating Community: We Are All Here explored the relationships between artist and place. 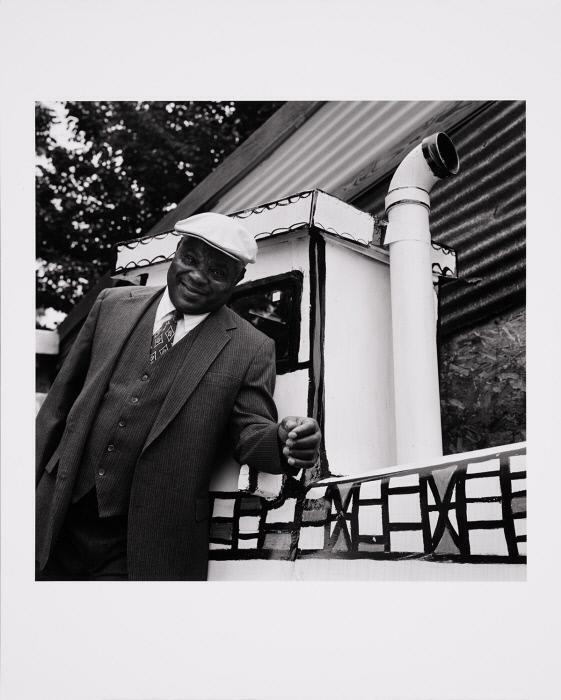 This installation considered the work of artists who immigrated to North Carolina, as well as those originally from the state, and the many ways that community may be represented through photography, sculpture and textiles. Nearly half of North Carolina residents come from a different state or country. Visitors were encouraged to share a favorite memory about the places they come from on cards provided in the gallery. Moving to a new place can be an exciting and positive experience, but it can also be difficult. Visitors may also wish to share any surprises – good or bad – from a time when they were new to Durham. Visitors were invited to sketch works of art in the gallery with provided materials at a sketching table. The Nasher Museum posted some of the finished drawings on social media. We also displayed visitors’ sketches on the Alcove Wall, around the corner from Creating Community: We Are All Here. Visit #creatingcommunity on Instagram to see sketches by other museum visitors. Our friends at Durham County Library loaned a small library of books, organized around the theme Creating Community: We Are All Here. Please settle in and enjoy a book at the Alcove Wall, around the corner from the gallery. Three videos featured some of the themes in Creating Community: We Are All Here, at the Alcove Wall, around the corner from the gallery. Susan Harbage Page, Hubert Walters, 1995. Gelatin silver print, Sheet: 20 × 16 in. (50.8 × 40.6 cm). Gift of Susan Harbage Page in honor of Brooke Davis Anderson. Michael Jenkins, Fence, 1990–1991. Paint on wood, 11 3/4 x 11 1/2 in. (29.8 x 29.2 cm). Gift of Blake Byrne, T'57. Silvia Heyden, Translucent, 2011. 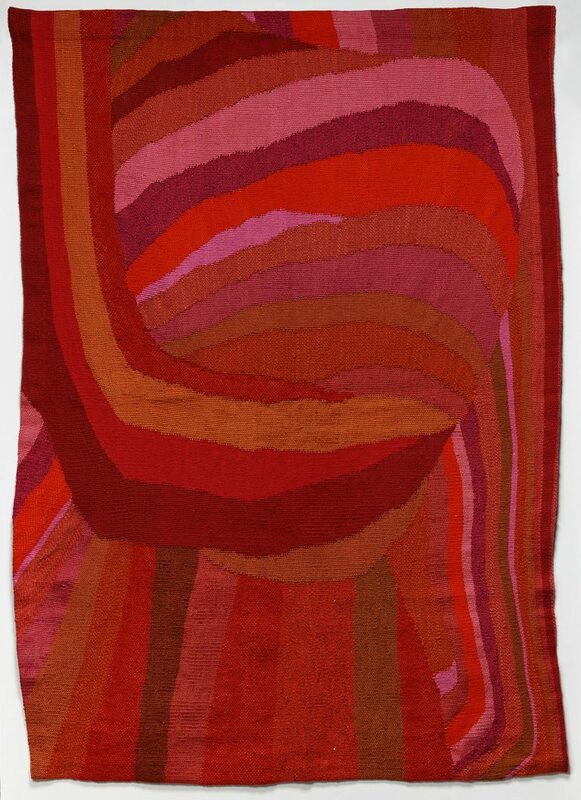 High warp linen tapestry, 48 × 43 in. (121.9 × 109.2 cm). Museum purchase with funds provided by J. Horst Meyer In memory of Ruth Mary Meyer. 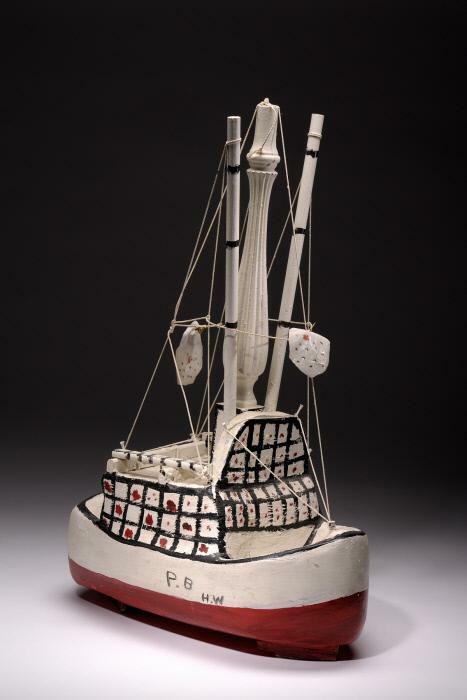 Hubert Walters, Passenger Boat, n.d.. Bondo, wood, house paint, twine and plastic bags, 27 x 19 x 10 in. (68.6 x 48.3 x 25.4 cm). Gift of Bruce Lineker, T'86. 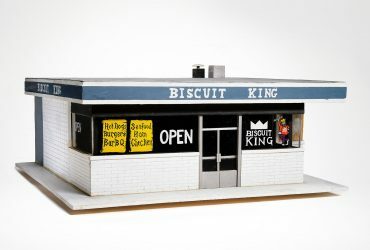 Jerstin Crosby and Bill Thelen, Biscuit King, 2007. Mixed media; 13.75 x 34.25 x 36 inches (34.93 x 87 x 91.44 cm). Courtesy of the artists. 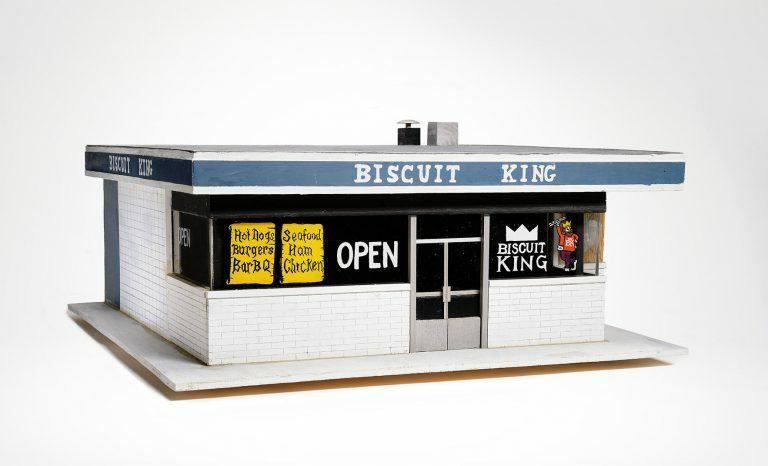 Image courtesy of the Nasher Museum of Art at Duke University, Durham, North Carolina. © Jerstin Crosby and Bill Thelen. Photo by Peter Paul Geoffrion. 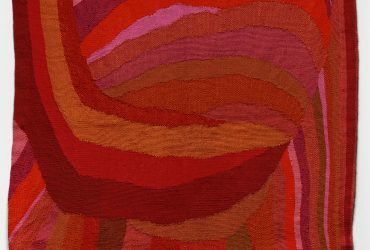 Silvia Heyden, Omega (detail), 1972. 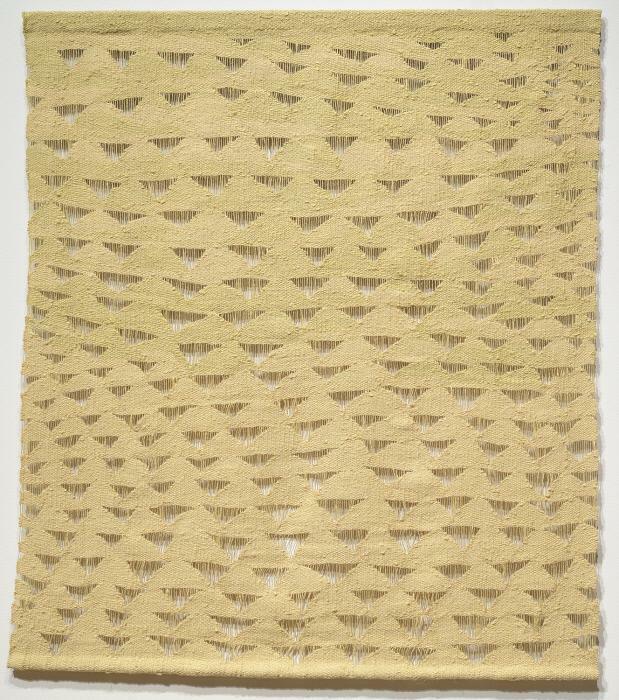 Wool and linen, 68 1/2 × 49 inches (174 × 124.5 cm). 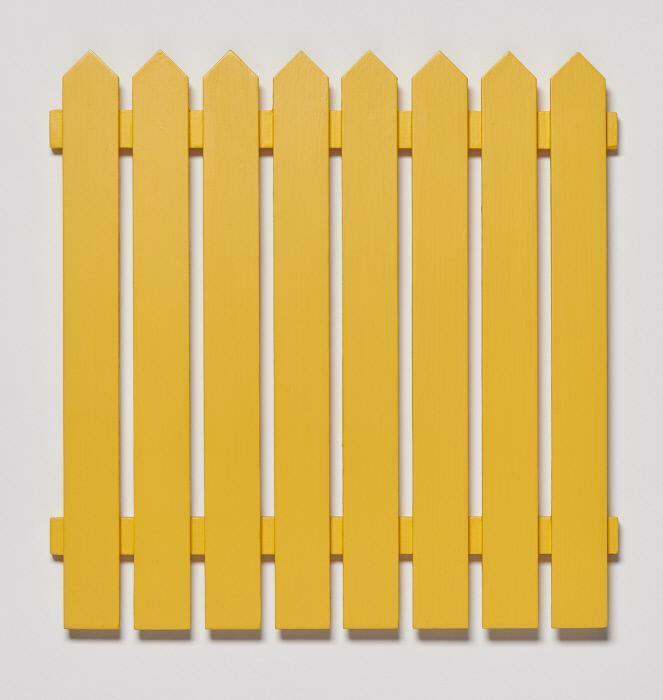 Collection of the Nasher Museum of Art at Duke University. Museum purchase, 1972.32.1. © Estate of Silvia Heyden. Photo by Peter Paul Geoffrion. Burk Uzzle, Acid Park, 2009. Chromogenic print, 60 1/8 x 75 3/8 in. (152.7 x 191.5 cm). Gift of Charles Weinraub and Emily Kass in honor of Kimerly Rorschach. Special thanks for help on this installation to Celia Donnelly from the Nasher Teen Council, Bull City Timber and Durham Public Library.